Styled with lizzie pant and sidra tank . 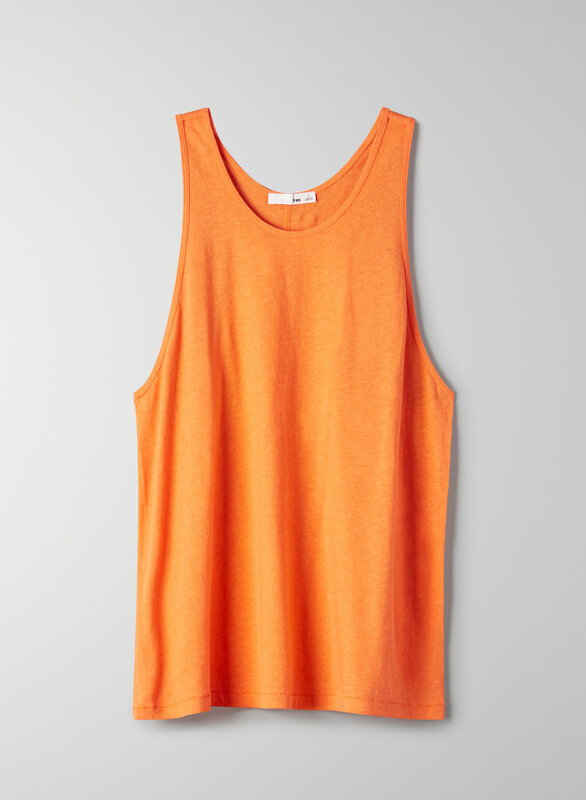 This is a trapeze-shaped tank with deep armholes and a scoop neckline that’s higher at the back. It’s made from a slightly sheer, linen-cotton blend fabric.